Chickweed – also known as Stellaria media, starweed, mouse ear, satinflower, and tongue grass – is a plant native to Europe. It grows across North America as a common weed. The parts used medicinally are the leaves, stems, and flowers. 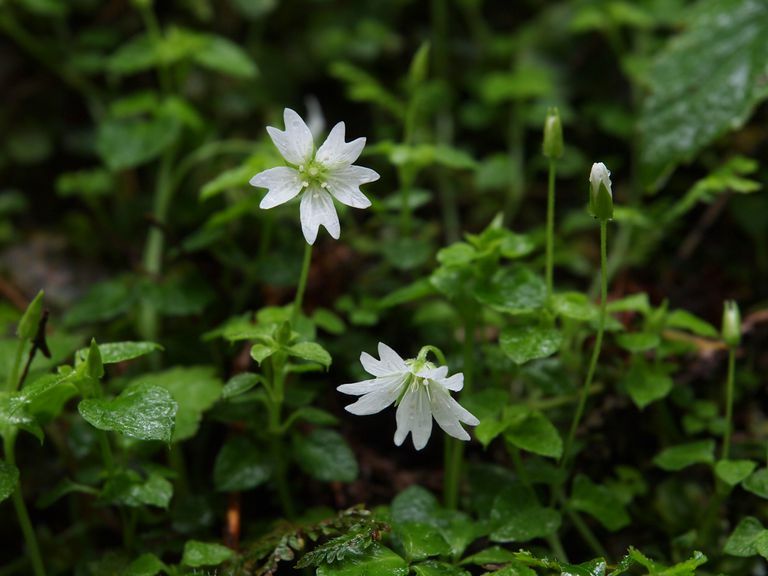 Chickweed comes in capsule, liquid extract, tincture, tea, ointment, oils and dried herb forms. In alternative medicine, it's used primarily as a topical cream or ointment. Chickweed has been used in folk medicine for skin conditions, indigestion and a variety of other conditions, such as cough, rheumatoid arthritis, psoriasis, stomach ulcers, and as a "blood cleanser." Side effects may include contact dermatitis after skin contact with the herb. People with allergies to the daisy plant family may also react to chickweed. Chickweed should not be used internally by pregnant or nursing women or children. Chickweed contains nitrate. If you experience symptoms of nitrate poisoning after taking chickweed, call your healthcare practitioner. Symptoms may include weakness, headache, fainting, bluish fingers and lips and dizziness. There have been case reports of muscle paralysis from very large oral doses of chickweed. These case reports, however, appear to have been isolated reports. Supplements haven't been tested for safety and due to the fact that dietary supplements are largely unregulated, the content of some products may differ from what is specified on the product label. Also keep in mind that the safety of supplements in pregnant women, nursing mothers, children, and those with medical conditions or who are taking medications has not been established. Due to the lack of supporting research, it's too soon to recommend chickweed for any health purpose. If you're considering using it, talk to your doctor to weigh the potential risks and benefits. Keep in mind that alternative medicine should not be used as a substitute for standard care. Self-treating a condition and avoiding or delaying standard care may have serious consequences. What Medical Conditions Can Rose Hip Treat? Can Wild Yam Treat Arthritis and Menstrual Problems?